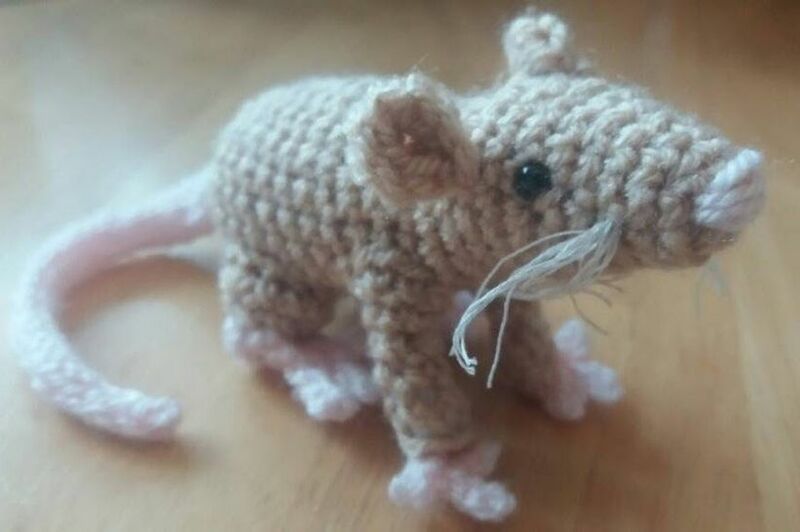 This listing is for the PDF pattern to crochet this adorable little mouse. This pattern is written using US crochet terms. The pattern is also available in British crochet terms and you can email me for a copy after purchase if desired. There are no complicated stitches but is a little fiddly due to the small size so not best suited to a beginner. The tail is made using knitted i-cord. This is easy to do but you can use crocheted i-cord if you prefer. You can use any weight of yarn but the examples were made using DK, which is a number 3 weight yarn. Stitches used include, chain, slip stitch, half double (half treble in British terms), single crochet (double crochet in British terms) and some stitches are worked through the front loop only. You are welcome to sell mice made from this pattern so long as credit is given to me as the designer.